You need those good bacteria in your belly, and eating certain foods — fermented foods — can help your gut maintain balance. In fact, probiotics have been shown to help with serious gut ailments, like IBS and leaky gut syndrome. But, there are also many everyday benefits of probiotic rich foods that can help us all. Probiotic side effects include a range of things from supporting the gastrointestinal (GI) tract, preventing inflammation, boosting immunity, reducing stress, improving your mood and alleviating conditions ranging from allergies to diarrhea. Dr. B.J. Hardick, founder of the Centre for Maximized Living in London, Ontario notes: “Conventionally, when people hear about probiotics, they typically think of yogurt or supplements. Most people are unfortunately unaware of several other incredible — and typically better — sources of healthy gut bacteria.” Among those sources is a wide array of cultured and fermented foods. A pickled product that does not list vinegar on the label is a good probiotic candidate, provided it has not been heat-processed during production. Since cooking kills off the good bacteria, be sure to consume probiotic foods raw. 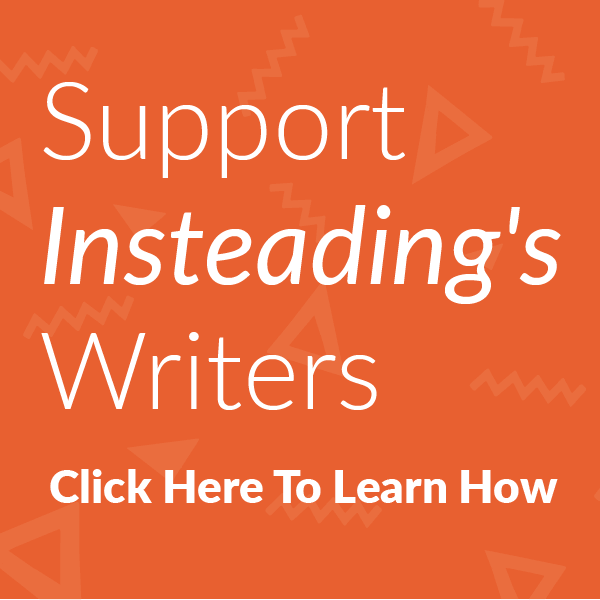 Bottom line: Fermented foods — if not made with vinegar or heat-proceed (aka. cooked) — will be rich in probiotics. That means you need to eat your probiotic foods raw. How can you tell what is raw and what isn’t? The Healthy Economist has an excellent post, The Crucial Difference Between Pickled and Fermented in which they spell out what to look for. In short, as Alex Lewin, author of Real Food Fermentation explains not all fermented foods are pickled and not all pickles are fermented. Foods that are pickled are those that have been preserved in an acidic medium. In the case of various types of supermarket pickles on the shelf, the pickling comes from vinegar. These vegetables, however, are notfermented (even though vinegar itself is the product of fermentation) and hence do not offer the probiotic and enzymatic value of homemade fermented vegetables. Enhances the vitamin content of the food. Preserves and sometimes enhances the enzyme content of the food. Improves nutrient bio-availability in the body. Improves the digestibility of the food and even cooked foods that are consumed along with it! So don’t be fooled by unhealthy supermarket pickled versions of homemade fermented foods. These modern foods are the product of high heat and pressure which destroys nutrients and do not in any way enhance health. The one exception to this rule are the various fermented foods in the refrigerator section of many healthfood stores. These products are actually fermented and pickled. The only drawback is that these gourmet items are rather expensive compared to the pennies per ounce it costs to make them yourself. My colleague here at EatDrinkBetter.com, Becky Striepe wrote a fabulous post 5 Best Fermented Foods for Your Health (and why you should eat them!) that pretty much covers it all. Becky points out that fermentation used to be all about preserving foods, but it turns out that this process also yields some great health benefits. Fermentation basically means letting beneficial bacteria digest some of the carbohydrates and sugars in food. Sauerkraut is fermented cabbage, and like the name suggests, it has a pleasantly sour tang. Most store-bought sauerkraut is not raw, so make sure you read those labels carefully. The brands found in the refrigerated section of the market are likely to be raw so check the refrigerated section of your market for local and artisanal brands of sauerkraut. You can also ferment your own sauerkraut at home. Of course, sauerkraut is the perfect accompaniment for pastrami, on a hot dog, or alongside beer-braised brats. But, it also is great on sandwiches (other than the obvious reuben). Its like shredded cabbage but with a sour kick. Martyna Angell, author of The Wholesome Cook has a great blog post naming six things to make with sauerkraut other than a reuben that includes several raw sauerkraut recipes for sauerkraut kiwi smoothies, sauerkraut slaw and nori rolls. Another fermented cabbage condiment, kimchi is both spicy and slightly sour. Bon Appétit Magazine has saved us all a lot of trouble by finding their 8 Favorite Kimchi Brands from Across America. Note: Not all are raw, so read the label carefully. Most Korean restaurants serve kimchi. Stir a spoonful of kimchi into your soups, salads, or even pasta dishes just before serving. Or just take a fork, grab the jar, and go for it. In fact, you can swap out pickles for kimchi in most recipes. Bon Appétit Magazine suggests serving it alongside this ultimate Korean barbecue menu or with one of these 12 dishes that just taste better with kimchi. We all know what a pickle is, but, like sauerkraut, not all pickles are created equal. Most store-bought pickles are not raw, so make sure you read those labels carefully. Raw pickles will be well labeled and brands found in the refrigerated section of the market are likely to be raw. Or, ferment your own. Anna at Green Talk has a great video showing you how. Of course, pickles are a great condiment for sandwiches, but there are so many other ways to enjoy them. The ever hip folks at Thrillist.com have come up with 15 ways people are going insane over pickles that include places to find pickle juice cocktails and pickle and peanut butter sandwiches. A good way to use miso is as a base for soups and stews instead of vegetable broth. But, as the folks at Livestrong.com point out, it’s important to buy unpasteurized miso because pasteurization can destroy the live probiotic cultures in the paste. When using miso in soup, stew or another cooked dish, don’t add it until the end of the cooking process and remove the food from heat immediately since high heat can destroy the probiotic organisms. That said, a simple and delicious way to consume miso is a simple homemade salad dressing of tahini, miso, lemon, and water (to thin it out). Also, this recipe for nutty Miso Sunflower Seed Sauce is fantastic on just about anything and makes a great dipping sauce for grilled tofu skewers and is also good tossed with pasta or roasted vegetables. For more good information, Andrea at our sister site Vibrant Wellness Journal wrote a great piece on the health benefits of miso. If you’ve never tried kombucha, imagine drinking a sweet-tart cider vinegar that’s carbonated like beer and has a few little chunks swimming around in it. It’s made of slightly sweetened tea–green, black, or both–that ferments for up to a month while a mushroom-looking blob floats on top of it. The blob is the key ingredient. Known as a scoby (for symbiotic colony of bacteria and yeast), it essentially eats the sugar, tannic acids, and caffeine in the tea, and creates a cocktail of live microorganisms that many believe to be beneficial. Scobys constantly grow and reproduce, and their offspring are something of a currency among kombucha devotees, who use them in homebrewing. But, note, not all Kombucha is probiotic rich because some brewers use pasteurization to help control the alcohol content in their products. So, check labels carefully. So, as mentioned you can get Kombucha in health food stores and major supermarkets around the country. If you can’t find kombucha on the shelf for some reason, try brewing your own kombucha tea. For the more adventurous, wholelifestylenutrition.com has a collection of 50 kombucha recipes that include kombucha BBQ sauce, kombucha mustard and a kombucha margarita. Dairy gets its own sub category since dairy foods are easily fermented. Also known as cultured foods, they contain Lactobacilli, a type of bacteria that might help stop diarrhea and treat yeast infections. Dairy is an excellent environment for bacteria because the live microorganisms feed on lactose, a naturally occurring sugar in dairy products. Hence, yogurt’s reputation as a great probiotic food. But, as we said, there are many diary based probiotic food that rival yogurt in efficacy. Cheeses are excellent carriers for probiotics — their low acidity and high fat preserve and nurture the bacteria while they move through the digestive system. Cheeses that are probiotic rich are either aged or made from raw, unpasteurized milk. If your wondering how cheese stacks up to other probiotic rich dairy foods, cheddar cheese was evaluated as a food carrier for the delivery of probiotic microorganisms and it was found that mature raw cheddar cheese compares very favorably with fresh yogurt. But… always buy raw and unpasteurized cheeses if you want to receive any probiotic benefits. Raw cheese — made from raw, unpasteurized cow or goat’s milk — comes in almost any variety. Cheddar, feta and Gouda are common probiotic cheeses as are provolone, Edam, brick, caciocavallo, Emmental and Gruyere. When purchasing cheese, look for the words “raw”, “probiotic,” or “made from raw milk” on the label. And, remember, no cooking or melting if you want to preserve the probiotic benefits. Kefir is another probiotic rich drink, thanks to its high levels of lactobacilli and bifidus bacteria. There are two different types of kefirs: water-based and milk-based. Water kefir is a fermented carbohydrate-containing, nondairy liquid. Milk kefir, on the other hand, is made from goat’s milk, cow’s milk, sheep’s milk and, even, camel’s milk. Both water and milk kefirs are loaded with beneficial bacteria but have different characteristics. Milk-based kefir is loaded with tryptophan, an amino acid affectionately known as “nature’s Prozac,” because of how it soothes the nervous system. Milk sugars are broken down during the fermentation process, so kefir naturally contains less lactose than milk, and goat and sheep milk kefirs have even less. Kefir also contains active lactase enzymes, which is why even some people with lactose intolerance can digest it with ease. Milk-based Kefir is also a good source of protein as well as calcium and potassium. Kefir can be found in health foods stores and major supermarkets as a fermented milk drink (typically in the yogurt aisle), you can also find products with kefir used in ice cream, cheese, popsicles, oatmeal and even veggie-based drinks. You might not think of chocoalte as a dairy product, but it is. And, if you needed any more reasons to eat it, the fact that dark chocolate can be produced to be rich in probiotics is a good one. Using low processing temperatures to keep them intact, manufacturers are able to add probiotics to dark chocolate at up to four times the amount found in other forms of dairy. The resulting chocolate is rich in both quantity and quality of probiotics. A 2010 study published in the International Journal of Food Microbiology found that probiotics in dark chocolate survived the passage through the stomach and small intestine better than those added to liquid milk. Chocolate probiotic bars are often kept in the refrigerated section of your grocery store (in some stores, they are kept in the refrigerated yogurt aisle). Brands that can be found in health food stores, Whole Foods Markets and even Sam’s Club include Attune and Healthy Delights. I’m sold. Who needs another reason to eat chocolate? Green peas are one of the newer probiotic discoveries to come to light. In December 2013, Japanese researchers found that green peas contain Leuconostoc mesenteroides, a strain of probiotic bacteria. What does that mean? The good bacteria inside green peas may raise the level of antibodies in your immune system. These types of antibodies are often found in the lining of your airway and digestive tracts, according to the study. Translation: green peas may be able to help fight off infections and colds thanks to their inherent probiotic bacteria. As before, do not cook your green peas. Add them raw to your salad, eat as a snack, try raw green pea and almond dip on crackers, with veggies chips, or on top of tacos or try this delicious raw food recipe for sprouted wild rice with pistachios and spring vegetables. Umeboshi pickled plums have a long and impressive history. Samurai warriors used to eat them to stay strong during battle and okayu (rice congee) with umeboshi is a standard Japanese folk remedy for colds and flus. This salty, sour treat, known for its supreme alkalizing ability, has become a common staple in bento boxes. Eat them in the traditional way, in small quantities as a side dish for rice or eaten on rice balls (often without removing the pit) for breakfast and lunch. Umeboshi may also be served as a complement of a green tea or a drink with shochu and hot water. Asian candy shops sometimes carry karikari ume, or prepackaged, crunchy pickled ume. For a modern twist, try them in a salad of pickled napa cabbage with umeboshi plums. “Consume 2 to 3 per week for optimal results,” says Apona Healing Arts founder and macrobiotic expert Lidia Kuleshnyk. As our friends over at Wellness Mama note, soda hasn’t always been the high fructose corn syrup and artificial flavor concoction in an aluminum can that we know today. For hundreds of years (and probably much longer) cultures around the world have made various forms of naturally fermented “sodas” from sweetened herbal teas or fruit juice mixes. These natural fermented drinks contained beneficial enzymes and probiotics to boost health and were a far cry from the unhealthy versions we have today. Wellness Mama has a great blog post on making your own natural probiotic rich ginger ale (also called ginger beer). 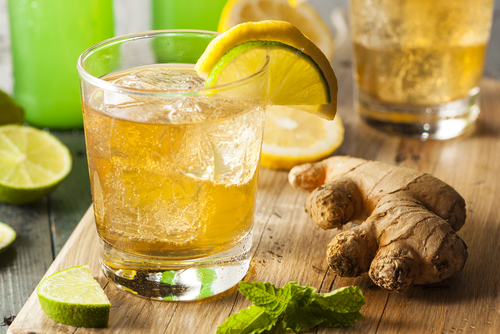 This natural recipe for ginger ale uses fresh ginger and a cultured ginger mixture called a ginger bug to create a naturally fermented and naturally fizzy ginger ale. Drink alone, with gin and juice or in a classic dark and stormy. Not a bad way to get your probiotics on. You say dark chocolate (not milk chocolate) is a dairy product. How can that be if there’s no milk in it?